Discussion in 'Other Stuff...' started by greeny, Apr 14, 2010. These things rock. 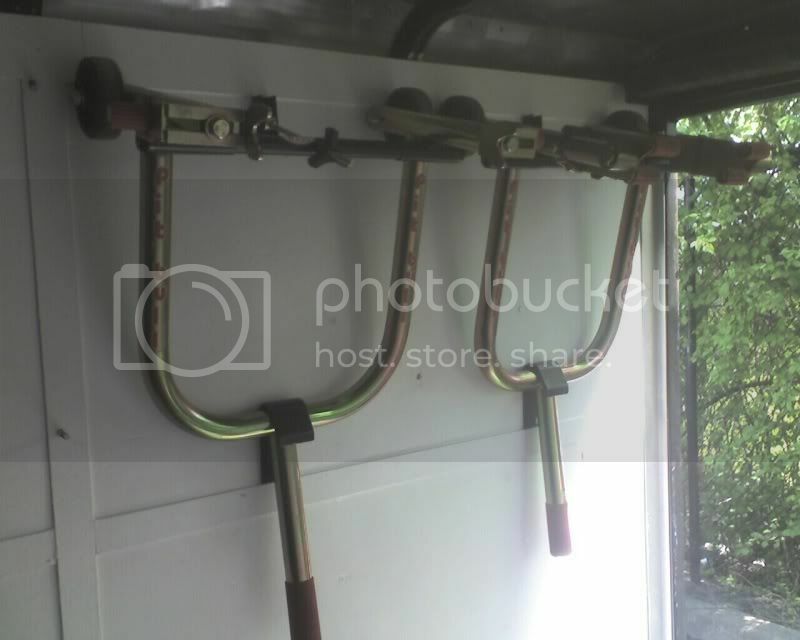 Securely fasten those hard-to-transport stands on the walls of your trailer and get them outta the way! Both are brand new in box. Would prefer to sell together.